Last year, a look at our AV systems revealed that they’re frequently turned on long after the last lecture or seminar of the day has finished. I’m sure we’ve all walked past a window on an evening, only to see a room lit blue. With the teaching day often finishing at 6pm, but our projectors only being able to switch themselves off at midnight (allowing for twilight sessions), that could be up to six hours of electricity and lamp life wasted! We estimate that about a third of the time that the projectors are turned on, they could be turned off. 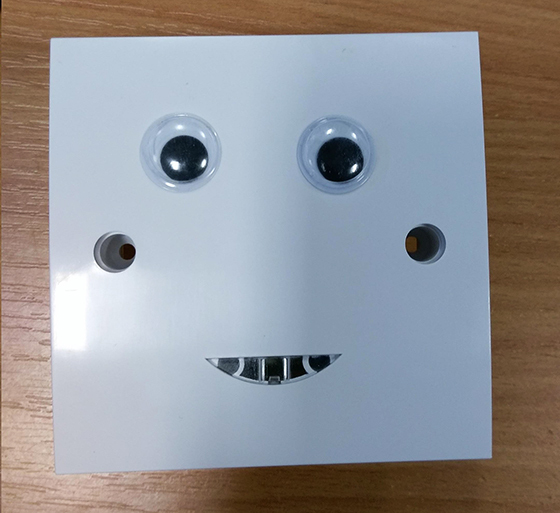 Starting with this summer’s buildings – Spring Lane and the new Biology T Block – and then each time we update a room, we’ll add sensors to the AV kit that tell it whether there’s someone there to use it. Once the room’s empty, and after a bit of a wait just in case, it’ll turn itself off. We get to save the planet and rather than buying all of those lamps, spend the money on things that you want instead. This is a case of a good Big Brother watching over our learning spaces.